Deuce's Techblade of Awe P/E had much higher resell value than intended. Previously acquired versions of the weapon will retain their higher resell. 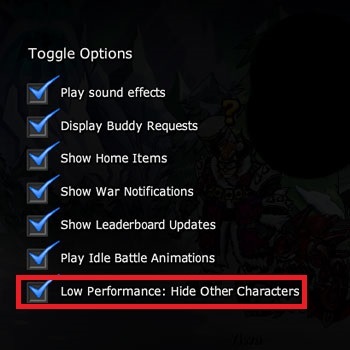 New performance option is now available in the settings panel: Hide other characters. 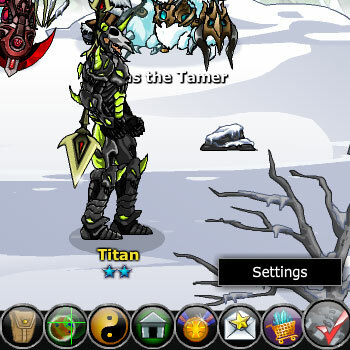 This will disable visibility on all other characters in a room, vastly improving performance in crowded rooms. This option will never turn on automatically, unlike a few other changes we’ve implemented. Automated performance settings: Entering rooms with 20+ players will automatically set Flash quality to Low, stop NPC animations, and prevent “warp in/out” animations from playing. When a room has 30+ players, the game will stop showing the walk animation when a player moves, simply “snapping” them to their final location. It will also prevent you from doing slash emotes (such as /dance). Removed Hank’s Harvest and Frozen Harvest from mission list (They were meant to be removed December 1st).